Goose Island IPA is a popular Craft Beer available from Tesco Groceries in 355ml to buy online. Visit Tesco Groceries for the best price for 355ml of Goose Island IPA or compare prices on our other Craft Beer products. The Goose Island Brewery is based in Chicago but that hasn't stopped them creating a quintessentially English India Pale Ale. The secret to an IPA is the high amount of hops used that were the result of the long voyage. The ale itself has a fruity nose with a slight malt overtones at its center. Created with a blend of four hop varietys this is a great Pale Ale. 5.9% abv. 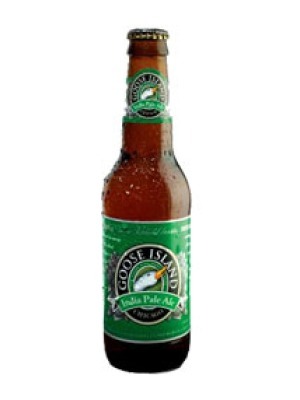 Where to buy Goose Island IPA ? Goose Island IPA Supermarkets & Stockists. You can buy Goose Island IPA online in most retailers and find it in the Craft Beer aisle in supermarkets but we found the best deals online for Goose Island IPA in Tesco Groceries, DrinkSupermarket.com, and others. Compare the current price of Goose Island IPA in 355ml size in the table of offers below. Simply click on the button to order Goose Island IPA online now.